Mountain Land Physical Therapy Kuna provides comprehensive physical therapy and rehabilitation services for Kuna, Idaho and the surrounding communities. In 2012 the clinic moved to it’s current location in the heart of Kuna, Idaho. With increased space, new equipment and private treatment areas, our experienced staff at the Kuna clinic is here to help you on the road to recovery. All the staff were very courteous and caring. I love the therapists and everyone who works here. They are so kind and caring and understanding they really care about you. I’ve been referred to other facilities but have demanded to only go here they have the best care possible. I would not hesitate to return, should I need physical therapy in the future. Everyone I came into contact with was kind and very knowledgeable about the care and treatment I needed. This was my third course of PT with Kim and the staff in Kuna. They were always professional, friendly and caring. I feel that I received very good care, and it was well worth the money and time spent. The staff was excellent in the care of my daughter. Our time at Mountain Land was an excellent experience. I have been to this office before and would tell any one to go there. They are great. Very accommodating to my schedule needs and willing to work with me to allow for my therapy sessions to be successful. Thank you so much for the exceptional service. As a first time PT patient it was an amazing experience! Kim is the BEST. She’s always treated me great. She’s always very thorough and professional. 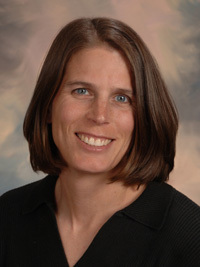 Kim graduated with a Masters of Science in Physical Therapy from the University of Colorado Health Sciences Center in 1997. She became a Certified Orthopedic Manual Therapist by the International Academy of Orthopedic Manual Therapy for the Lower Extremity in 2014 and the Spine in 2008. Kim has been a Board Certified Orthopedic Clinical Specialist through the American Physical Therapy Association since 2011. Kim joined the Mountain Land team in July of 2000. Kim was inspired to enter this field to assist in helping people regain their health, function and independence. Kim has become a specialist in her field and takes a hands on approach to therapy. She enjoys building relationships with her patients and seeing them improve on a day to day basis. Kim is a world class soccer player and was inducted into the Washington State Universtiy Hall of Fame in 2012. Kim is married to her husband Chris and has two wonderful girls. She enjoys an active life style, playing soccer, running, hiking, skiing and mountain biking. Cody joined the Mountain Land team in 2015 after graduating with his Doctorate of Physical Therapy from the University of Montana. In 2010 Cody earned a Bachelor of Science in Athletic Training from Washington State where he worked with NCAA athletes to treat and prevent injuries on and off the field. 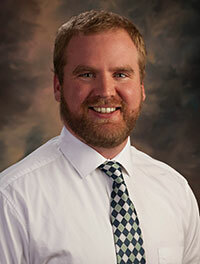 Cody’s treatment philosophy focuses on hands-on manual therapy and exercise-based interventions. Cody believes in an individualized approach with an emphasis on patient education to help his patients achieve their goals. He loves seeing his patients return to work and doing the things they love. In his spare time, Cody enjoys fishing, hiking, camping and spending time outside with friends and family.